August marked the opening of a new bridal consignment shop in Eau Claire. Off the Rack Bridal Consignment & One of a Kind Boutique, 1813 Brackett Ave., offers a range of gently-used wedding and formal occasion dresses, decorations, linens, and more at affordable prices. Planning a wedding is a huge creative undertaking. From decorations to dresses, a handful of people are responsible for planning one of the most important get-togethers two people will ever go to. It becomes that much harder to do so on a budget and in a region with limited resources for bridal supplies. LuAnn Hale discovered this when her daughter was married last August. “There’s not a lot of choices in Eau Claire,” she said, lamenting the loss of Younkers and Macy’s. 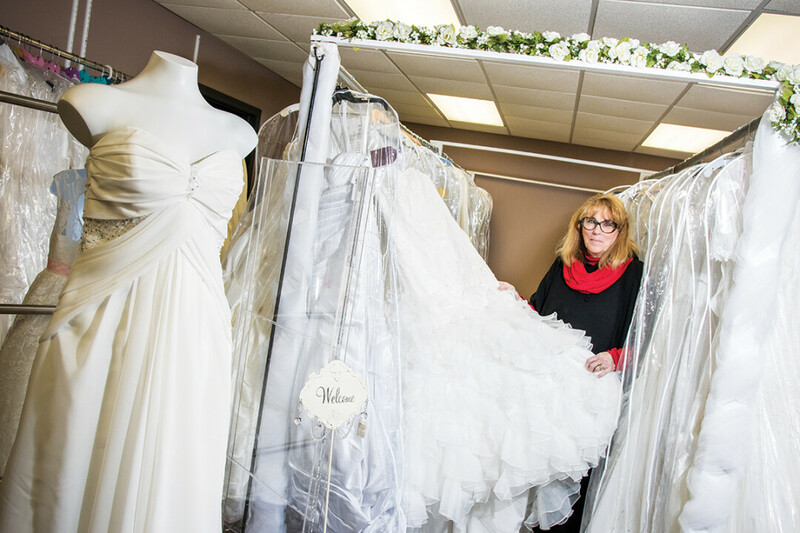 She and her daughter, now Sarah Saldat, drove to Woodbury, Minnesota, to find a consignment store where they could save a bit of money on the dress. It was on the drive home that Sarah told her mother she should open a consignment shop a little closer to home. “It wasn’t a lot of planning, it was kind of a whim,” Hale, who owned a number of rubber stamp shops in town, said. She sold the stamping businesses and threw herself into opening Off the Rack. “I think there’s a big need for more options here, and this gives the girls a huge option because we have many styles, we have many price ranges, and tons of ideas,” she said. Hale’s inventory includes about 350 wedding dresses and more than 700 dresses for other occasions. She sells homecoming and prom dresses year-round, and carries options for youth performers to use for concerts as well. When the store first opened, Hale’s grandchildren would visit and spend their time counting the dresses for fun. Hale is glad to help brides find the perfect gown among the racks. She provides a gentle guiding hand to customers as she brings, on average, eight to 10 dresses in succession for them to try on before they find the perfect one. Just as much as she enjoys helping women find inspiration among the dresses and decor, she enjoys being able to do it with her daughters. Sarah helps part time, and LuAnn’s younger girl, Roni Hale, keeps the books. More information about Off The Rack Consignment is available on the store’s Facebook Page. 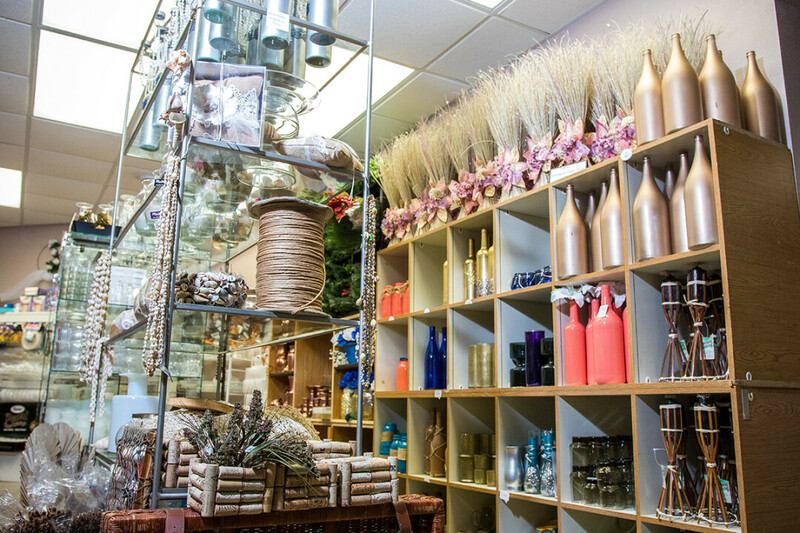 The boutique is open Wednesday-Sunday. Brides can make an appointment at (715) 271-1873.